Kerry Livgren, a founding member of the group Kansas, is just one of many secular musicians who has decided to serve Jesus in a rock 'n' roll culture. By 1977 the then-28-year-old Livgren had achieved superstardom. His homegrown rock band named for his native state of Kansas had achieved international acclaim for songs he had penned, such as "Carry On Wayward Son" and "Dust in the Wind," and for the hit albums Leftoverture and Point of Know Return. Livgren had wealth, fame, a good marriage, and his band's songs were being played on virtually every FM rock station in America and around the world. Indeed, Kansas had become America's premier progressive rock band. The group's unusual use of amplified violin meshed with soaring guitars, all riding intricately laced time signatures, combined to produce music more akin to progressive jazz than straight ahead rock 'n' roll. The group's uniqueness, topped with classical leanings, turned millions of listeners into record buyers and die-hard fans. Lyrics also were a key element in the Kansas success formula. Livgren's words, in particular, were offered as a map for fans to use to follow along on his search for the meaning of human existence. Livgren's "Dust in the Wind" became a classic expression of this: Same old song, just a drop of water in an endless sea / All we do crumbles to the ground, but we refuse to see / Dust in the wind; all we are is dust in the wind / Don't hang on; nothing lasts forever but the earth and sky / It slips away, and all your money won't another minute buy / Dust in the wind; all we are is dust in the wind. Today at age 51, Livgren acknowledges the sadness of that famous ballad that was a Top 10 hit in 1978. "It is a sad song. It's the same message as Ecclesiastes," he told Charisma during an April interview at his farm outside of Topeka, Kansas. Fame, success, wealth and achievement could not fill the large hole in Livgren's spirit. Although confirmed in the Lutheran church as a child, he had no relationship with Christ--only a knowledge of Christianity, which he had rejected as a religion for extremists. "A Christian was either a hypocrite who went to church on Sundays as a social maneuver, or a wild-eyed Jesus freak who fanatically threw tracts at people on the street and told them they were going to fry in hell," Livgren writes in his autobiography Seeds of Change. His family's participation in church was parallel to what Livgren described as typical of cultural American Christianity, and he acknowledged that he had "become inoculated with just enough Christianity" to have become immune to the real thing. "I think that happens frequently with people," Livgren told Charisma. "I see many who were raised up in a churchgoing family as opposed to a Christian family. I'm not saying my family was not Christian. In retrospect, I am very glad I did [have a church background] because it gave me a structured background to come back to." Livgren was never a drug or alcohol abuser; instead, he spent much of his time devouring books about history, philosophy or religion. Yet he tired of writing songs about "searching," even though doing so had brought him success. He wanted to tell his fans through his songs what he had found. The problem was, he hadn't found it yet. By 1976 Livgren had embraced the I Ching, or Chinese Book of Changes, and bathed himself in several Eastern philosophies. Then he decided not to be so "exclusivistic" and explored "truths" in all the world's religions. In 1977 he discovered The Urantia Book and its bizarre 2,097 pages of occultic gobbledygook that featured chapter headings such as "The Seven Super Universes" and "The Local Universe Mother Spirit." The book described itself as a revelation from superhuman beings that is designed to assist people to progress from animal to angel to spirit to God. The Urantia Book put the name of Jesus back into Livgren's life, although in a highly distorted form. He read how Jesus of Nazareth is really Michael of Nebadon, one of many local universe sovereigns. Livgren was impressed that this Jesus was not written off as a mere prophet or avatar of Eastern religions. His Kansas band mates weren't bothered by his spiritual discoveries in Urantia or Eastern religions. But once the real Christ entered the picture, Kansas would never be the same. In 1979, Livgren was a happy Urantian. Kansas was touring on a wave of success with a new album, titled Monolith. Livgren didn't know, however, that his song lyrics had enlightened some of the band's Christian fans to discern that he was on a spiritual journey. They had been praying fervently for his salvation. When Louisiana band LeRoux joined the tour to open for Kansas, Livgren enjoyed getting to know the band's singer, Jeff Pollard, a Christian. Livgren learned that Pollard was "into the Bible" and saw an opportunity to talk with Pollard about Urantia. Livgren began joining Pollard in LeRoux's tour bus after shows to compare beliefs, and it wasn't long before Pollard had used Scripture to dismantle Urantia as an enemy of the cross. Soon Livgren was in full dilemma. He knew Pollard's Bible was truth--and he was going to have to admit it--and choose. "Another part of me kept saying: 'My God, you can't become a Christian! What would everybody think?' The last thing in the world I wanted to be was one of those fanatical born-again Christians," Livgren says. On July 23, 1979, Kansas was playing in Indianapolis. A Christian fan who attended the concert later told Livgren that he had felt compelled to pray for him during the show and prayed so hard that he left the concert in tears. Later that night, about 3 a.m. on July 24 in his hotel room, Livgren, with his religious books and the Bible spread all around him, and tears flowing, prayed: "Lord, if Jesus Christ is your Son, then I want to know Him. If He really is the living God, my Redeemer and my Lord, then I want to serve Him with all my heart." At that second, Livgren says that the Holy Spirit overcame him, and he was laughing and crying and "felt that the huge weight on my shoulders was suddenly taken away forever." "I was full to overflowing--absolutely," Livgren says, and recalled meeting the fan who had prayed for him that night a year or so later at a Christian radio station in Lakeland, Florida, after a Kansas concert. "He had carried the ticket to that Indianapolis show in his pocket all that time not knowing that that was the night I got saved. He was in a spiritually dry place at the time, and that revelation just floored him. There were tears everywhere!" Livgren's conversion gradually produced a tension between him and other band members, and when Kansas bass player Dave Hope also became a Christian in 1980, a division over the band's direction came to a head. Lead singer Steve Walsh left the group, partly because he refused to sing Livgren's lyrics, which now espoused a Christian worldview. John Elefante, a Christian, replaced Walsh. The band recorded two more albums with Livgren and Hope--Audiovisions (1980) and Vinyl Confessions (1982)--and Livgren completed his first solo album, Seeds of Change (1980). He and Hope left Kansas in 1983 to form AD, a band made up of Christians. That band disbanded in 1986 after recording several albums. Livgren settled into a comfortable solo career and helped start a church in Atlanta called East Side Community Church in Covington. (He had relocated to Georgia during Kansas' heyday.) At the church, he served as elder, Sunday school minister, church treasurer and minister of music--a one-man pastoral support team. In 1993 Livgren and family--wife Vicci and son Kyle and daughter Katy--moved back to Topeka, Kansas, where they currently reside on a nearby farm. Livgren built a home studio there and has recorded When Things Get Electric and recently released Collectors' Sedition Vol. I. They attend Topeka Bible Church--an evangelical congregation with some charismatic leanings. Livgren's wife, Vicci, miraculously survived an accident in May 1998. Vicci, who also became a Christian after her husband, was walking out of a store on a Saturday when a car driven by a teen backed out of a parking space and struck her, knocking her some 8 feet. She landed on her head and suffered several skull fractures. Doctors said she either would die or be permanently disabled. Church members prayed and wept that night at the hospital chapel, and the next morning Vicci came out of a coma and has been fine ever since. Doctors have confirmed the miracle. Today, Livgren challenges Christians who believe he should not be straying into secular music markets. He recently wrote every song on a new Kansas album--Somewhere toElsewhere--which reunited the band's original members at his farmhouse studio. Dave Hope, who today is an associate priest at a charismatic Episcopal church in Destin, Florida, also participated. Livgren produced the album and played all the keyboards, half the guitars and wrote all the lyrics and music for the album. Livgren isn't touring with the band because it means a full-time commitment that would take him away from his family, as well as other projects he's working on, such as a new classical recording with Ambrosia singer David Pack--a cantata titled, "The Resurrection of Lazarus." Running his own record label, Numavox Records, is a time-consuming endeavor for Livgren as well. 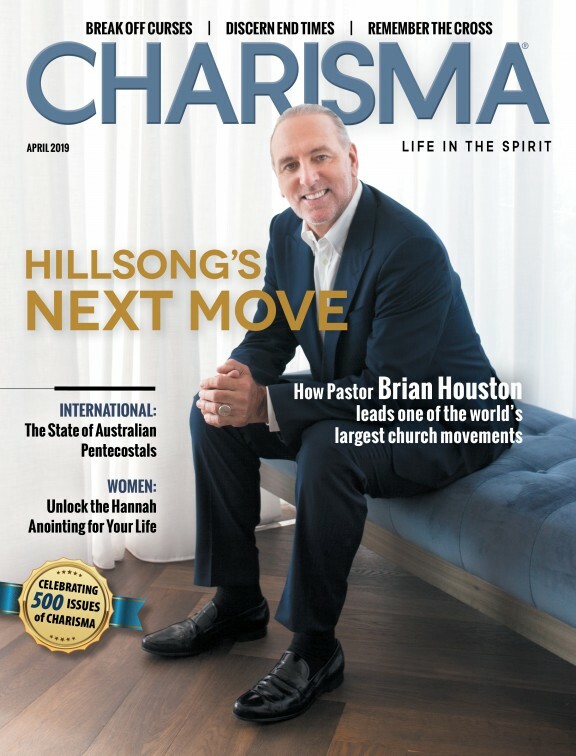 Charisma asked Livgren about Christian critics who would say he shouldn't be "casting his pearls before swine" and wasting his musical gifts on heathens. "I do not understand that attitude in regard to the Great Commission," Livgren says. "It says, 'Go ye into the world.' Granted, that has to do with evangelism, but evangelism takes many forms. "If a Christian had not been in that 'dark place' when I needed the gospel, would I have heard it from those who offer criticism? The whole time I was in Kansas, until the time I met Jeff Pollard--not one Christian ever approached me to tell me about the gospel. I suppose the final argument is, I have to do what the Holy Spirit tells me to do." Says Livgren: "When He tells me to stop being a shining light in a dark place, that is the one voice I will listen to." Billy Bruce is news editor for Charisma. While working as a reporter for the Daytona Beach News-Journal (1987-94), Bruce often moonlighted by playing drums in a bar band. He met Jesus in 1991 and decided to leave the band after reading Kerry Livgren's book Seeds of Change. After rededicating his life to Jesus in an Assemblies of God church, Farner today boldly tells his audiences about Jesus. Mark Farner, lead singer, guitarist and songwriter for the hard-rock band Grand Funk Railroad, thought he had accomplished everything he had sought to attain in the secular music business. He was wealthy. He was famous. He had a platform from which to present his views on everything from the environment to politics. Farner had formed Grand Funk Railroad (GFR) with bassist Mel Schacher and drummer Don Brewer in their hometown of Flint, Michigan, in 1968. The band's hits like "Time Machine," "Rock 'n' Roll Soul" and "We're an American Band" built a fan base that was loyal enough to defend the group against constant attacks from music critics who dismissed GFR's music as part of a passing fad. GFR sold more than 25 million copies of their 17 albums and toured the world, thanks to those loyal fans and what Farner recognizes today as God's grace. When Farner was 9 years old, his father died after his car was struck by a train. His mother became an alcoholic. "I wasn't raised in a Christian home," Farner told Charisma. "There were Ouija boards and spiritism there, and a Jesus, too, but not the one we know. I knew things weren't right, and nothing was getting better with mother." The young grieving boy turned on the television and found a live telecast of a Billy Graham crusade. "Billy Graham told me that Jesus was the way out. I got down on my knees right there in front of the television and prayed to receive Jesus. My hurting heart was healed--I felt the pain lift, and that blew me away. And I believe from that day I was saved." Farner, however, did not become a servant of God until years later. His limited knowledge of God did influence his songwriting, and GFR turned out several spiritually minded songs as a result, including their now classic theme song "I'm Your Captain/Closer to Home." Farner spent millions in pursuit of a happiness that continually evaded his grasp until September 1983. By then, GFR had disbanded, and Farner's solo career was faltering--as was his marriage. His wife, Lesia, had left him, taking their children with her. Farner wandered into a small Assemblies of God church in Onaway, Michigan, where he heard a sermon that brought him to his knees at the altar. There he prayed that God would bring his wife back as he recommitted his life to Christ. In another church some 50 miles away that same morning, Lesia Farner made her first commitment to Christ. Soon the couple reunited, and together they began devouring God's Word. A year or so later, Farner heard God's call to go where the church doesn't usually go. He booked gigs in bars and casinos, and he recorded three Christian albums. He joined with Schacher and Brewer in 1996 for a GFR reunion that lasted three years, into 1998. Farner says the band broke up again because he became uncomfortable with the other members' lifestyles, and he felt they compromised his beliefs. At the beginning of the reunion, Brewer tried to get Farner to sign a contract that prohibited him from saying "God" or Jesus" from the stage. Farner refused. "I do love those guys, I really do," Farner said of his former band mates. "I hope someday they will be humbled by the saving knowledge of Christ and that we will play together again to glorify Jesus Christ." Meanwhile, Farner continues to tour with a band made up of Christian musicians, playing secular venues to reach the lost. He mixes some of his Christian songs with GFR tunes that he believes do not compromise his faith, and he boldly tells his audiences about Jesus. "It used to be real common that we were accosted about playing secular music in secular environments," Farner said. "But when you go fishing, you have to put bait on the hook, or you are liable not to catch anything. And you cannot isolate yourself from the very world that the Lord anointed you to minister in. Jesus never avoided sinners, and neither can I." An ex-atheist and onetime rival of Mick Jagger, Jones now is singing his blues for God. Paul Jones has been described as one of the best British Invasion singers of the 1960s and was at that time regarded as a rival to Mick Jagger, lead singer for the Rolling Stones. He also was well-known as an ardent atheist--until God convinced him otherwise. Born in the maritime city of Portsmouth, England, in 1942, Jones became an atheist as a teen-ager--because of "bad Christianity," as he puts it. He decided music was his future and became proficient at singing and at playing harmonica. Jones' resonant vocals were thought to be the best feature of R&B group Manfred Mann--who scooped hits like "5-4-3-2-1" and "Do Wah Diddy Diddy." His stance against Christianity also became well-known. In 1968 a TV debate about Billy Graham saw Jones pitted against Christian rock singer Cliff Richard. "We ganged up on Cliff--and beat him," he recalls. Jones left Manfred Mann and got involved in films, Broadway, session work with artists like Tina Turner, and formed The Blues Band. He met actress Fiona Hendley in 1982, and they fell in love while starring in the musical "Guys And Dolls." The Blues Band also kept Jones busy. To relax, he visited art galleries and found himself deeply moved by paintings. It didn't help his famous atheism. "I became aware of a whole other dimension to life," he says. Hendley was also on a spiritual search, and the couple started attending church. "Church was a revelation to us," Jones says. "It was fun and lively!" In 1984, he got a call from his old TV opponent Cliff Richard. Richard said he was singing at an evangelistic crusade led by Argentinian preacher Luis Palau and that Jones should be there. Jones and Hendley attended the meeting and ended up becoming Christians. The couple have now been married for 16 years and tell their story at outreach events. Blues colleagues "really hated" the news of Jones' conversion, he said. But he's hardly had any criticism from Christians for continuing with the blues--though one letter-writer told him to "stop playing that carnal music." However, Jones is clear in his theology: "The devil is a liar. He is not a creator." Increasingly, he tries to play his own songs, mostly written since he became a Christian. He was running from God when he helped to forge country rock, but today he's a pastor in Colorado. Time was when Richie Furay believed he had earned the right to be as famous as his rock 'n' roll peers. And Jesus Christ not only wasn't the first thing on his mind, He wasn't even the last thing on Furay's mind. But all that has changed for this original member of Buffalo Springfield. Furay, who today pastors Calvary Chapel in Boulder, Colorado, believed his dues as a rock musician had been paid during his days with Buffalo Springfield--the 1960s supergroup that broke ground for country rock and featured frontmen Neil Young and Stephen Stills. But his next adventure in the band Poco, another foray into the California country-rock sounds that continued to make his buddies world famous, didn't quite give guitarist and songwriter Furay the same return. So by 1973, Furay had left Poco to sign with Asylum Records and form a band with J.D. Souther and Chris Hillman. David Geffen, now a partner of entertainment conglomerate DreamWorks SKG and then-president of Asylum Records, convinced Furay that Souther, Hillman and Furay would be another supergroup like Crosby, Stills, Nash and Young. "All I cared about was rock 'n' roll and success," Furay told Charisma. "All my friends from former bands had achieved major success. I thought, What about me?" To help define their sound, Hillman wanted to bring in pedal-steel player Al Perkins from the Manassas band, but Furay was against it. "Al was a Christian, and I thought, This is all we need," Furay says. Perkins immediately began talking with Furay about Jesus. In addition, Furay noticed that his wife, Nancy, had begun studying the Bible. He didn't know yet that she had become a Christian or that she was thinking about leaving him. When the new band decided to go to Aspen, Colorado, to rehearse and prepare for their first concert tour, Nancy stayed home. "I knew something was wrong, but I later saw how God had to get us apart so He could deal with me," Furay says. Perkins' persistence coupled with Furay's bewilderment over his wife's sudden coolness toward him resulted in Furay's crying for help from God. During an after-dinner invitation to become a Christian, led by Perkins, Furay prayed the prayer. But when he went home, Nancy announced that she was leaving. The couple had been married seven years, and Furay was devastated. Later, while he walked on a beach in St. Petersburg, Florida, God reminded him of the commitment he had made to serve Him when he prayed with Perkins. "That night in my hotel room I woke up, and it was like someone had turned on all the lights," Furay says. "The room was brilliant. I wasn't afraid, though. I sat up in bed and waited for what seemed like 10 minutes. A peacefulness came upon me, and I believe the Lord was telling me it would be OK."
After a seven-month separation, Richie and Nancy reunited, and four daughters and 33 years later they are still together, living in Boulder and pastoring a small church (see www.calvarychapel.com/boulder). Furay began the Calvary Chapel church in Boulder as a home fellowship, and today the small congregation rents space on Sundays at a public school. Furay recorded three Christian-oriented albums for Asylum, but he sought release from his contract because he said the company did not give him support. "I was too Christian for secular markets and too secular for Christian markets. It was quite a dilemma." Furay dropped out of a Poco reunion in 1989 when he learned that the band had released a video of a song performance that included more than 20 objectionable depictions in it. Today, Furay has released In My Father's House--a fascinating collection of songs a la Poco and Buffalo Springfield gone Christian and is working on a new secular music album and another Christian project. He plays secular concerts mixed with a gospel segment. "If I can touch some people's lives in a bar, and it means I will see them in heaven, that means a lot to me," Furay says. "Where did Jesus go? He went out among the people and ministered to them. Jesus said it is the people who are sick who need help." He claims to be "just a singer in a rock 'n' roll band," yet John Lodge is an unusual figure in pop music. During his 30-plus years in rock music, he's never gotten involved in drugs and has always declined to indulge in the legendary excesses of the music-industry lifestyle. He puts it all down to the Christian faith he adopted in childhood. "In the '60s we were all looking for something," says Lodge, who helped transform standard British R&B band The Moody Blues into world-class pioneers of symphonic rock, mixing electric guitars with orchestral sounds. "If you did a gig you'd spend hours afterwards meeting people, talking about religion. I grew up through an evangelical church, and the more I talked to people, the more I realized all the things I'd learned at church were relevant--and what everyone was looking for. I was thinking, Just a moment, I think I've got that! "That's really when I started to find an inner strength," Lodge told Charisma. "The '60s was a crazy time in rock 'n' roll, and you could have really gone to extremes in everything. But I found I had this inner strength that seemed to see me through a lot of things." Born in 1945, Lodge attended Sunday school regularly as a child at Birches Green Evangelical Church in Birmingham, England. Lodge described the church as "quite fundamentalist," but there was freedom to ask questions. "What it made me do was try to understand what the Bible was about--not organized religion--and what strengths you could gain from [the Bible]," he says. The spiritual foundation proved its worth later in life when Lodge played bass for the Moody Blues. "Some things would come along--the excesses--and I'd question them and say this can't be right." Lodge recalls one bizarre episode when he spoke with a Detroit pastor in a hotel room, while more than 100 people partied around them after a concert. "I remember us talking about Christianity amid this party, and I said to him, 'Isn't this strange?'" It was a picture of his life: a nice, clean, Sunday school boy right in the middle of the dirty business of rock 'n' roll. Yet Lodge managed to make it work. "I ended up in the hospital," he says, "and they were bringing all these different people to try and find out what was wrong, but they couldn't find out." Deeply troubled by this, his family contacted longtime friend and charismatic church leader Gerald Coates. "He got his whole church to pray for me," Lodge recalls. "That same day was the turning point. I started to feel better." The incident had an impact on Kirsten--his wife of 32 years--and on his daughter, Emily, and his son, Kristian. "Everyone got strength from it," he says. Through the years some Christians have challenged Lodge to pinpoint his "born again"experience. He sees his spiritual life as more of a journey than a reaction to a crisis point. He's not a regular churchgoer, but he attends events at Coates' church, Pioneer People, and visits churches while on tour. So far, Lodge's Christianity hasn't fazed the rest of the band. "They know where I'm at. It doesn't matter whatever we discuss, they know where I'm going to come from on it. But they also know I'm not going to come from an organized religious point." Lodge still enjoys researching other philosophies--causing some people to question his reading habits. "Nothing's going to come along and determine who I am. I don't think that's going to happen, because I think if it was going to happen, it would've happened a long time ago." The classically trained player and contributor to some 2,000 recorded songs couldn't live today without Jesus. With glittering robes and mid-shoulder-length long blond hair, keyboard virtuoso Rick Wakeman stood like a ghostly figure amid the dark-suited orchestra that supported him for his "Journey to the Center of the Earth" tour. His image would become a classic scene from an epic piece of '70s rock. Ten years later, Wakeman would engage in a different journey when he rededicated his life to Christ. Born in 1949 close to the edge of London, Wakeman was the only child of devout Christians. "My father was a Baptist lay preacher, and my mother was a very strong Methodist," he told Charisma. South Harrow Baptist Church became the spiritual home for the 5-year-old Wakeman, who says: "I was never forced to go to Sunday school--I actually loved it!" He grew up through the various stages of congregational life--and even became a Sunday school teacher. "I never questioned the existence of God and what He could do," Wakeman says. "But by 1968 I was already at the Royal Academy of Music and playing in various bands." He absorbed rock 'n' roll--his heavy drinking became legendary--and felt a conflict between his new lifestyle and his upbringing. "I had no doubts--I wanted to give my life to the Lord. The difficulties were with the other things." It was 1969, and he went to see his pastor, who put him on a six-month course on the Christian life. But Wakeman knew his work as a musician meant travel--and he knew that meant his life was going to change. "I went away and worked in pubs and clubs. And apart from the fact that I was working every Sunday, I used the excuse, 'You don't have to go to church to be a Christian,' and I stuck with that for 15 years." Wakeman left the academy and set about forging a career for himself in music. He recorded the chart hit "Space Oddity" with David Bowie and played with an early British folk band called the Strawbs, taking it decidedly away from its roots with his progressive music style. Rock newspaper Melody Maker dubbed Wakeman "Tomorrow's Superstar." In 1971 Wakeman joined the band Yes, who helped pioneer "progressive rock" and with them recorded Fragile--a definitive album of that genre. He was with Yes off and on until 1997. He also recorded his own monster hit albums. Wakeman became heavily in demand for work in recording studios. He has played on more than 2,000 tracks by artists as diverse as Black Sabbath, Elton John, Lou Reed, Harry Nilsson and Cat Stevens, with whom he recorded the hymn "Morning Has Broken," which became a Top 10 hit in 1972. One of Wakeman's most significant years was 1974, when his own Journey to the Center of the Earth snatched Top 10 placings across the globe. But after only one performance Wakeman collapsed--due to poor health--and composed The Myths and Legends of King Arthur and the Knights of the Round Table while in the hospital. Poor health was one of several crises for Wakeman at the time. Up-and-coming punk rock was grabbing the attention of rock fans. Wakeman's father died. His marriage folded. Business decisions backfired. By the early 1980s the great keyboard virtuoso was sleeping on park benches. During that time, Wakeman met former model Nina Carter, who helped him rebuild his life. When they decided to marry, Nina insisted on a church wedding. The only place that would perform the ceremony, because both of them were divorced, was Camberley United Reformed Church. The couple married in 1984 and attended worship there. "When I brought my Christianity back into my life, things were going well," Wakeman says. "I was thinking how I'd managed to pick myself up from the gutter with Nina's help. And I thought, This is great--but there's something missing. "Because I'd had such wonderful teaching from people I'd met in my first 19 years, it was easy for me to know what was missing." In a Sydney, Australia, hotel room, he reflected on his life and rededicated it to Jesus. Rick and Nina moved to the Isle of Man, a tiny island off northern England. A friend persuaded Nina to attend Broadway Baptist Church, where, says Wakeman: "There was no apparent hymn or sermon going on, but the Holy Spirit just hit her." He returned from touring to find his wife's faith had been set on fire, and he began attending Broadway with her. The couple have been members there ever since. When Wakeman considered retreating from the mainstream to focus solely on Christian music--such as his 1996 The New Gospels--his old friend, Chuck Smith, pastor of Calvary Chapel in Costa Mesa, California, encouraged him to share his life and talents in both arenas--Christian and non-Christian. This bluegrass icon doesn't blink an eye when he gets an opportunity to play for Jesus in casinos or honky-tonks. Ricky Skaggs believes God's Word when it comes to music. Like King David of old, he wants to use his instruments in a spiritual way to drive out demons and usher in the Holy Spirit. And when he applies that strategy in casinos, bars and county fairs across the country, folks who would not think once about setting foot in a church are led into the Lord's presence right where they are. Skaggs is God's "musicianary": a missionary who uses his musical fame to get him into places where sinners are, usually venues where the church can't--or won't go. The country music star, now 46, cut his teeth on bluegrass music, becoming a legendary fire-brand picker of mandolin and guitar and was voted one of the Top 100 guitarists of the century by Musician Magazine. He wandered out of bluegrass into country music circles in Nashville, in the 1970s and was "discovered" by Emmylou Harris. It was Harris and Sharon and Sheryl White who nicknamed Skaggs "Picky Ricky" for his relentless search for perfection in the recording studio. Sharon White later became his wife. "I have always been a perfectionist, and I believe that doing your best honors the Lord," Skaggs told Charisma. "I do admit I was picky before I did it to honor the Lord. But I realized that God wanted to 'perfect' that ethic in my life." When Harris had to ease up on touring long enough to have a baby, Skaggs believed his time had come to try a recording of his own. In 1981 he cut the smash country album Waiting for the Sun to Shine, which gave Skaggs two No. 1 hits and a nationally recognizable face. He then recorded Highways and Heartaches, which produced four No. 1 hits and cemented Skaggs as an icon of country music. The third album Country Boy came, and more and more fans hooked up. Now England was paying attention. Skaggs also knew that his international fame and the personal satisfaction from success had begun to tip his attention away from God and onto himself. He had been a practicing believer since age 13, but his first marriage had ended in divorce, and he didn't want to suffer that pain again. He and his new bride, Sharon White, wanted to keep the Lord in the middle of their relationship. "There was an emptiness inside my heart," Skaggs says. "I knew the Lord and had rededicated my life to Him at a church Sharon was going to. "In the early 1980s I was on the road and working the weekends out--playing--so Wednesday night was the time when Sharon and I could be together. We'd go to church. One night I got up and went down to the altar to make sure I had things right with Him." What happened that night was "like an explosion," Skaggs says. "It was the deep calling the deep. I just wanted more of Him, but that's hard because having more of Him meant having less of me." Skaggs met Barbara Fairchild, an on-fire Christian, and pastor Ray Hughes, who taught him about using his instruments in spiritual warfare. Hughes showed Skaggs that his musical calling was to shine a light in dark places. Then Skaggs met minister Bob Jones, who prophetically confirmed the calling Hughes had described. Skaggs claims Jones as his spiritual father today. By this time Skaggs had been introduced to prophets and pastors alike--Mike Bickle, John Wimber, Rick Joyner, Paul Cain. Skaggs found that the hotter he burned for the Lord, the cooler the mainstream record labels became toward him. "We'd go out, and sponsors would complain to the record companies that we had been preaching from their stages," Skaggs says. Today Skaggs has returned to his bluegrass roots and has his own record label--Skaggs Family Records--from which to propel his mission. He questions Christians who criticize his gigs in secular venues, during which he always plays some gospel music and talks about Jesus when the Lord leads him to. "I have people writing me: 'Why in the world did you play in this casino? We prayed for four years that that casino would not come here. What kind of Christian counsel do you have?' I write them back and say 'You sure won't be reaching those people with that attitude.'" Skaggs points out that Billy Graham is welcome just about anywhere, but he notes: "They would drop their jaws if Dr. Graham walked into a bar or a casino. But Ricky Skaggs can walk in there, and they accept me in there. This is what the Lord would do." The former 1970s pop star says playing for secular fans and mainstream audiences keeps his fire for evangelism burning. Jesus says do it--so John Ford Coley does it. It's that simple. The former half of the 1970s pop music duo England Dan and John Ford Coley says his calling is to go into the secular arena with his music, where he believes he is being the most influential for the sake of the gospel. "Christ says, 'I came to save that which was lost,'" Coley told Charisma during an interview in Nashville, Tennessee, last April. "My ministry is to people who have lost their way. I prefer to be with hungry people. It keeps my fire lit." Coley, 51, and England Dan (Seals) parted ways in 1980 after scoring several major Top 40 hits, including the Grammy nominated "I'd Really Love to See You Tonight" and "Nights Are Forever Without You." The two remain friends, and both live in the Nashville area. Coley attends The Oasis Church, pastored by Danny Chambers, in Bellevue, Tennessee. Coley's Southern Baptist background kept him grounded during the drug-happy '60s and '70s. He and former band mate Seals came from Christian backgrounds. During the duo's career together, Coley became a disciple of the Bahai faith, which teaches that all religions lead to God and are acceptable. Coley left his Christian roots after being soured by the divisions in the body of Christ and recalled how his dating relationship with his Catholic girlfriend opened his eyes to see the damages that divisions bring. He heard his Southern Baptist pastor and her Catholic priest preach very similar messages, but he could not understand why he was being told they were so different. "[Catholics] love the structure and the dogma and the tradition. It is perfectly fine for people who need 'the box,'" Coley says. "I just look at the love aspect--if we are loving each other or not." Coley's trek to rock stardom took him around the globe and put him in the path of all sorts, from pot smokers and alcoholics to prostitutes. At age 18 while playing in Texas bands, Coley played for strippers. "What I found through all of that was a compassion for people," Coley said. "You saw that they were lost. Instead of judging them for where they were at, you had compassion because they were lost. And since I know what it feels like to be lost and struggling, I only want them to know there is a place for them." Now a Christian, Mansfield got a rare look at the spiritual side of The Beatles during the 1960s. Ken Mansfield knows that fans of The Beatles, the most popular rock group in pop-music history, love to hear insider stories about the Fab Four. So the former Beatles employee and now born-again Christian released a book this year, The Beatles, The Bible and Bodega Bay, to share Beatles lore from his firsthand accounts with Britain's most famous "lads"--and more importantly, to provide a witness for Jesus by telling his own spiritual journey. The book is intertwined with chapters on his Beatles days followed by chapters on his spiritual journey. The spiritual chapters are laced with proclamations of praise and awe for God and His creation and the Lord Jesus Christ (see www.fabwhitebook.com). Amazingly, surviving former Beatles Paul McCartney, George Harrison and Ringo Starr approved Mansfield's book, as did Yoko Ono--widow of John Lennon--who represents the slain Beatles' estate. Mansfield has frequent contact with Ringo Starr, but not with the others, though he left the band's employment in good stead. He resides in Bodega Bay, California, where he and his wife operate a seaside shop. Mansfield, now, is suffering from what his doctors say is a fatal, incurable bone-marrow disease, called Waldenstrom's Macroglobulinemia. Mansfield was working for Capitol Records in Los Angeles as the promotions manager of the company's West Coast district when the Beatles came to town to perform at The Hollywood Bowl in August 1965. Mansfield, then 27, managed Capitol's press conferences for the band and then was befriended by the Beatles. They later hired him to be the U.S. manager of Apple Records, the group's subsidiary record label formed in 1967. Beyond their well-documented impact on modern music, the Beatles were "just really nice people," Mansfield told Charisma. "They grew up in a working-class society, and that just carried into their adult life," he says. "They were always so courteous. "But they were not a band of angels, either. There were times in this whole thing when they were 'out there.'" Mansfield was directly influenced by George Harrison's involvement in Eastern religion philosophies and metaphysical teachings. But in one of the "spiritual" chapters of his book, Mansfield refers to Harrison's beliefs as "New Age sew-age." "I am curious as to what George's reaction was when he read that part when reviewing my book," Mansfield quips. Mansfield left the Beatles just before their breakup in 1970 and stayed in the music business, becoming a Grammy-winning record producer, as well as a music publisher and songwriter. But his career bottomed out in 1984, causing a disappointment that led him to move to a new city--only to discover that God was there waiting for him. After his first marriage had failed and his career had floundered, a broken-spirited, financially broke Mansfield decided to try Nashville, Tennessee, in hopes that his music career could be rejuvenated on Music Row. He got off the plane at the Nashville, Tennessee airport with his "misery and three suitcases," he says, and sought the help of music-business friends who gave him a place to stay while he tried to start again. Shortly after his arrival, he met an attractive woman named Connie. Their first date was August 1984, but their argument over her Christianity nearly ended their relationship right away. "She said Jesus was 'the Way.' I said Jesus was 'a way'--and she chose Him over me," Mansfield says. "She said she would not be unequally yoked with an unbeliever." Writing in his book, Mansfield says: "The deep love she had for her Lord really spoke to my heart when she chose Him over me. I saw faith and belief in real terms, and I knew I had to have some of this." Mansfield then accepted Jesus as his Lord and felt an incredible freedom from sin. "I still stand in amazement that in one minute on my knees all the sins and horrors of my past were erased and I was brand-new--as pure sinless and unstained as a newborn child," he says. He and Connie were married in 1987 and continue serving the Lord in Bodega Bay. Already his book is having a witnessing impact. An attorney for Ringo Starr told Mansfield he enjoyed the spiritual chapters more than the Beatles' chapters. And Beatles historian Brent Stoker, who helped Mansfield keep his facts accurate, was so moved by the spiritual chapters that he was baptized and now is a believer.